Your financial security number is the amount of income you need to cover your basic needs – housing, food, transportation, utilities, and insurance. This is the amount of income it would take for you to cover your basic cost of living. Although it doesn’t account for luxuries, like vacation, travel, gifts, etc. Today we’re going to discuss the importance of this number and help you build a plan to achieving financial security for yourself. You see, this is a very important step when first starting out investing in real estate. It will help you decide how and where to invest. Lewis Carol said, “If you don’t know where you’re going, any road will get you there”. So today, we’re going to help you determine where you’re going and how to get there. Now before we get started, you might be asking yourself why you need to achieve financial security if you have a job that is providing more than just your basics needs for you. Or maybe you feel a bit of self-doubt that you can achieve financial security through passive income. Having enough passive income to cover your basic needs has some obvious benefits. For one, you won’t have to work. Let’s look at some other reasons why knowing and achieving your financial security is important. Think about all the time you would have if you didn’t have to go to a job every day. You could spend that time doing other things, like being with family, travelling to new places, or growing your business or real estate portfolio to build even more passive income. If you fall ill, and can’t work, you know that your basic needs will still be met through your passive income. Let’s look at how you determine your financial security number. Take a minute and think about your monthly cost for each of these. Your monthly total would be $3,150. Now we’ll take that monthly expense and multiply it by 12, which is $37,800. That is how much income you need to achieve financial security. Congratulations, you’ve just determined your financial security number! The next step is building a plan to achieve it. Let’s look at our income and expenses on a monthly basis. In our example, we need $3,650 per month. Let’s look at real estate investing as your vehicle to achieve passive income. We’ll assume you can expect $300 of passive income for every rental unit you have. It would take you just over 12 rental units to achieve financial security for the rest of your life. Now you’re really making some progress by determining the path to your destination! It’s said people overestimate what they can achieve in a year, and underestimate what they can achieve in a decade. So take these lessons with you as you’re mapping out your journey to financial security. Keep in mind, financial security is just the first step to building a completely passive lifestyle. Financial security doesn’t account to luxuries or other non-essentials. Those are the next stepping stone. I encourage you to do a bit of homework to determine your financial security number, and map out a plan to achieve it. Before you know it, you’ll be financially secure and on your way to building true wealth for yourself and your family! If you’re getting value out of this show, please let me know by leaving a rating and review in iTunes. Please subscribe to the show to be notified of new episodes! If you have any questions or comments, or want to hear something specific just let me know. 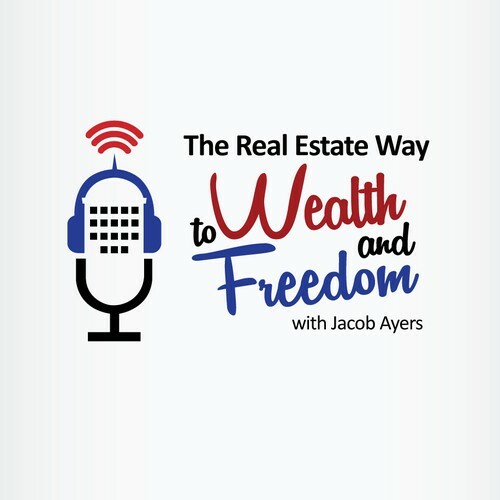 Email me a info@jacobayers.com, contact me at www.JacobAyers.com, or connect with me on Facebook @TheRealEstateWaytoWealthandFreedom. Or if you’re in Houston, Texas, feel free to reach out to me and I’ll buy you a cup of coffee! I love talking about real estate investing and lifestyle freedom!